Joyce Rice (Chair) began harp lessons at the age of four. Over five decades she was an active freelancer and principal harpist with numerous orchestras in New England/New York and the Pacific Northwest. Joyce is also well known as a harp arranger, composer, and pedagogue. She studied with Gladys and Kenneth Custance of Boston and with Bernard Zighera of the Boston Symphony, and holds a music degree from Wellesley College. She can be reached at joyce@harpspectrum.org. Her publications can be seen at Melody's Music and her personal website. Patricia Jaeger (Board Member) is a past president of the Greater Seattle Chapter of the American Harp Society. She owns and operates Herald Music, producing her own harp and ensemble arrangements. Originally from Swarthmore, PA, she began her study of music with violin before the age of four and went on to earn her Bachelor and Master of Music degrees in violin and music literature from the Eastman School of Music. She also studied for a year in Germany, presenting two concerts, and then relocated to Seattle to study harp with the late Edith Lundgren for nine years. Mrs. Jaeger's past teaching credits include teaching beginning harp in the Seattle School District, as well as night courses for the public for sixteen years. She teaches privately at her home studio and also for North Seattle College since it opened in 1970. Some limited performing in the area for weddings etc..
Jim Wooster (Treasurer) is an engineer by education and experience, having retired from Boeing in 1996 after 35 years as an engineer and an engineering manager. Jim's experience in the harp world comes from being married to Patricia Wooster, a well-known classical harp performer and teacher in the Puget Sound region and leader in national and international harp organizations. Jim assisted Pat with the financial aspects of the Sixth World Harp Congress in Tacoma in 1996, and with the 39th American Harp Society Conference in 2010, also in Tacoma, and he continues to act as a behind-the-scenes helper in Pat's activities with AHS, WHC, and various Tacoma orchestras. John Carrington (Special Projects Assistant) received his Master of Music degree from the Cleveland Institute of Music after earning his Bachelor of Music from the University of Washington. 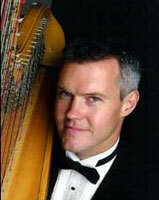 John was Guest Principal Harpist of the Seattle Symphony for several seasons with regular performances with the Seattle Opera and Pacific Northwest Ballet Orchestras. Along with his orchestra, chamber and choral accompanying work, John is active as a freelancer playing for a wide range of special events. 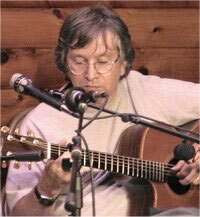 In addition he has participated in the recordings of more than 50 motion pictures including "Mr. Holland's Opus." Susi Hussong (Assistant Editor) was educated at the Cleveland Institute of Music, the Curtis Institute of Music and the Summer Harp Colony of America Salzedo. Susi moved to Hawaii to be first harpist with the Honolulu Symphony Orchestra. Besides playing for the opera and various musicals, Susi performed a wide variety of functions including weddings,inauguration ceremonies, grand openings and radio programs. She has recorded five albums with flutist Susan Gillespie. Susi relocated to Seattle and has been freelancing here as well as teaching harp privately. Steven Burgon (Counsel) has graciously contributed his time and legal expertise. Harper Tasche (Co-Founder, Former Board member) holds a unique and prominent place in the folk harp world. He is best known for his ground-breaking performances, compositions, and recordings with the small harp, the cross-strung harp, and the buzzy bray harp. Harper's music is both lyrical and complex, seamlessly weaving together original compositions with historical, classical, and traditional Celtic, Scandinavian, and European repertoire. His credits include headline performances at major folk harp events in the United States, Canada, and Ireland; over twenty recordings, nine books of harp music, international radio and television broadcasts, feature film, and numerous composition commissions; prize-winning performances in pop & jazz harp and traditional Scottish harp and voice; and the title "Millennium Harper of Washington State" from the Harping for Harmony Foundation. More information about Harper is available at www.HarpCrossing.com, and several videos of Harper's performances for International Artists' "Crescendo!" TV program are available on YouTube. Colin May and Jason Wood (Former Webmasters) received the webmaster baton from the incomparable Deb Seymour. Colin is a former schoolteacher and accomplished drummer now working as a web developer, while Jason brings ten years of professional software engineering experience to the mix. Neither plays harp but both share a lifelong interest in music of every kind. Many thanks to Cynthia Kuni for the Harp Spectrum logo design, NSCC's CIS 211 class (Spring Quarter 2000) for the original site design, and all those who have contributed their time, knowledge and aid!